Stefania Duico, head of the Windows Phone division in Italy, was interviewed by an Italian fan blog, revealing some interesting details surrounding platform updates - namely the official title of upcoming Windows Phone "Tango". 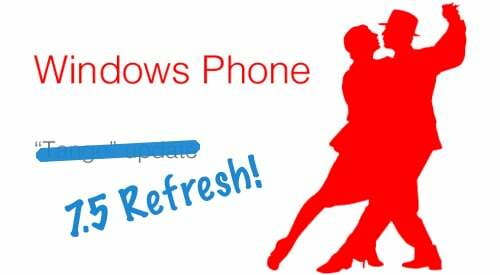 This OS update, which will target emerging mobile markets, will be referred to as "Windows Phone 7.5 Refresh". Windows Phone 7.5 Refresh will help Microsoft and OEMs produce devices for said markets with lower specifications. There will be some resource intensive features (such as multitasking, Live Tiles, etc.) disabled, no background tasks running, as well as some apps not being able to be installed (depending on the developer), but the experience should be silky smooth as one would expect with a high-end device on the platform.